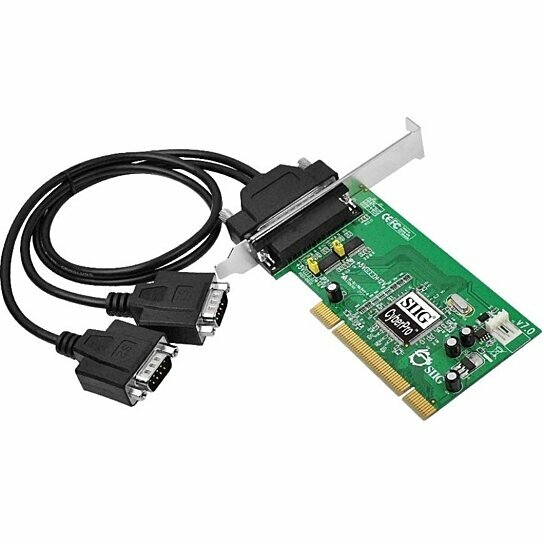 SIIG's DP CyberSerial 2S PCI adds 2 high-speed 16550 UART serial ports (9-pin) to your desktop computer. Each serial port can be configured as either standard 5V or 12V power output for connecting serial devices that require power such as 56K V.90 external modems, ISDN terminal adapters, PDAs, digital cameras, label printers and more. With a spare low profile bracket, this dual profile adapter card can be installed into standard height or low profile chassis system, offering the utmost flexibility in system installations.